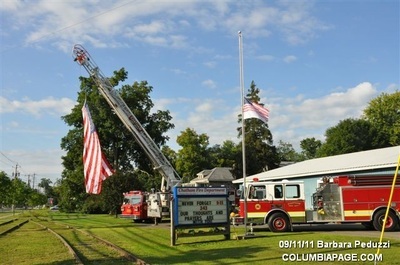 Our local fire department, like others across the country, had a small ceremony this morning to commemorate the 10th anniversary of 9-11. 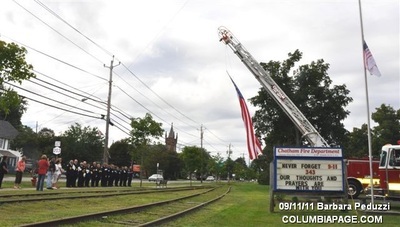 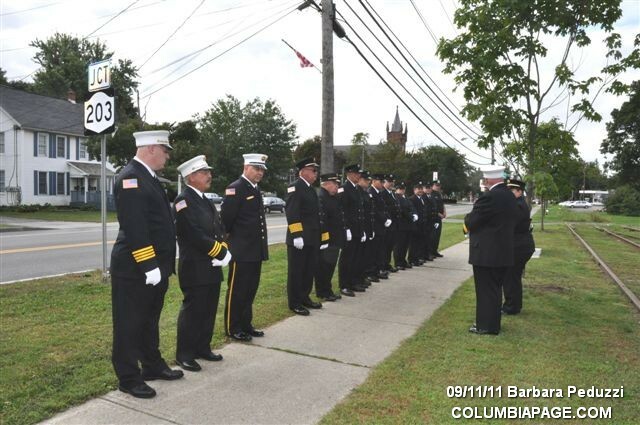 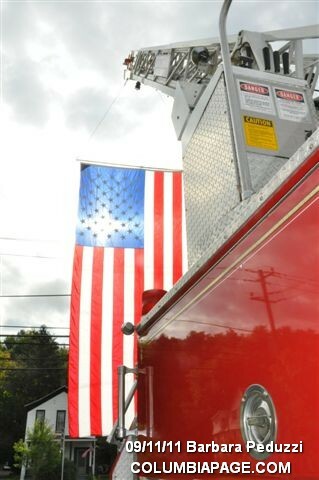 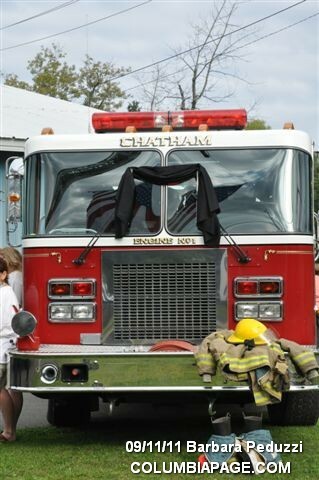 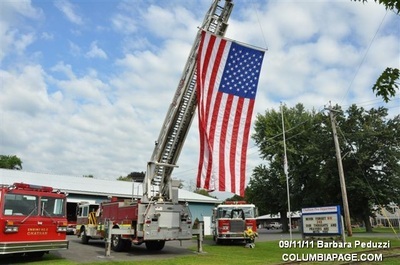 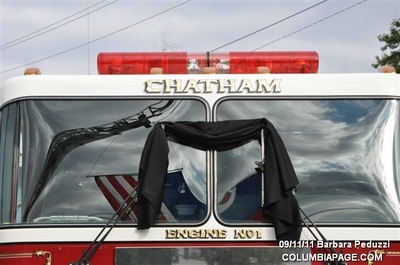 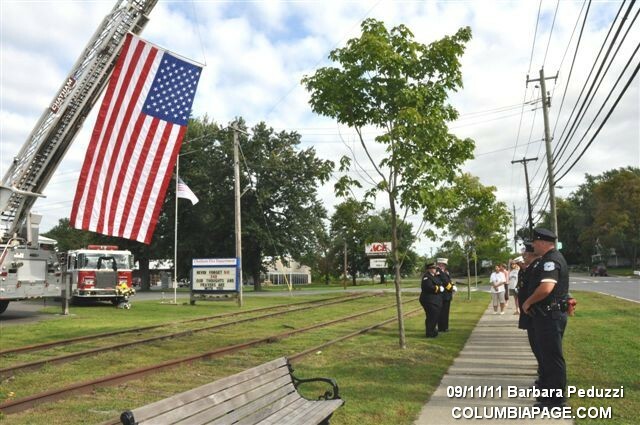 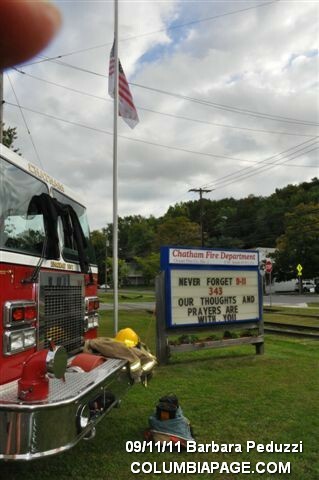 A flag hung from the extended ladder, black cloth draped the windshield of a pumper, and turnout gear stood in front of it: empty coat, boots, bunker pants and helmet to signify the gear not to be worn again by those gone. 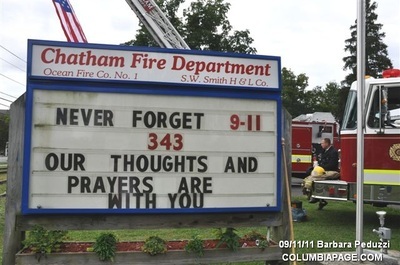 Some of the firefighters spoke; where they were, what they were doing – just as most of us are remembering the same things about that day. 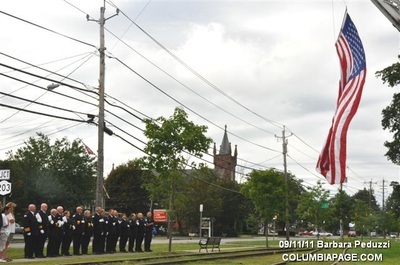 One woman told of fears that a cousin who worked in the towers was lost and the elation when he was finally able to call two days later to tell them he had gone out of the office for coffee – his co-workers perished. A fireman talked about how one plane made it’s turn over our county, a comment was made about the plane flying so low and slow, how unusual that was – not knowing how much more unusual that flight was going to become. 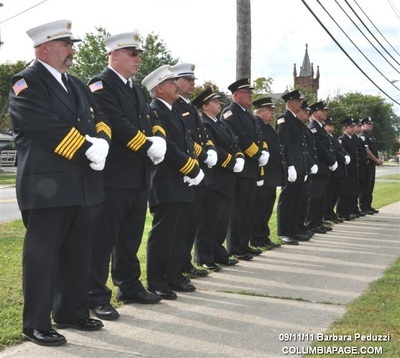 Several remembered going to an annual weekend fire school and how every person there jammed an auditorium on Friday night for a memorial service. One just waved his hand, indicating he had no words to say, and a tear fell from his cheek. There will be many more ceremonies, one is scheduled this evening at the county 9-11 memorial. 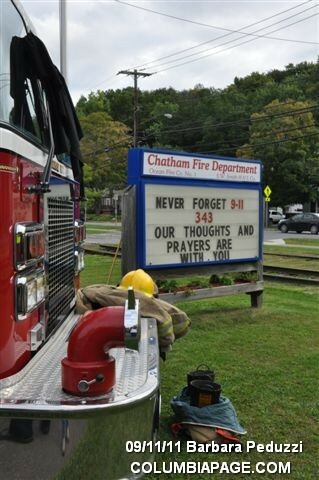 There will be many more tears, as more memories are shared. 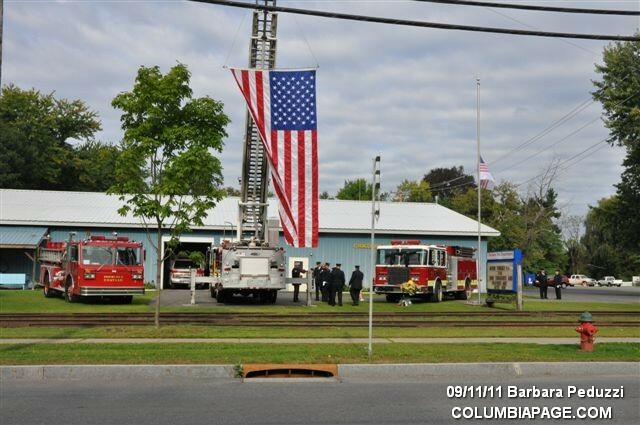 As we did ten years ago, our country and our people cry, and continue. 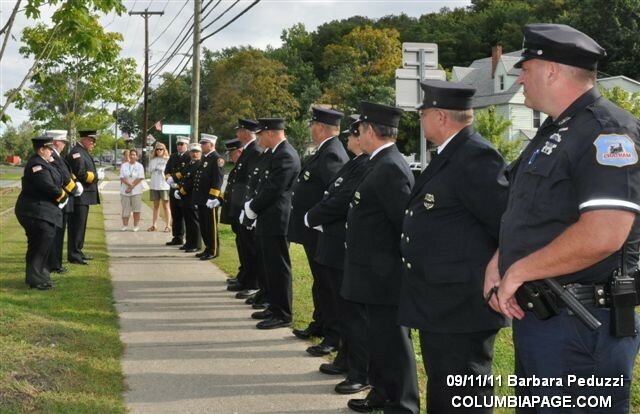 It would be unfair to those who gave their lives to do otherwise.